“Bravo is patient … he’s taught me a lot about being patient … he teaches a lot of veterans to be … in the moment,” U.S. Marine Cpl and PATH Registered Level Instructor Nicholas Montijo said of the wild mustang who now functions as a therapy horse for therapeutic riding at BraveHearts Therapeutic Riding and Educational Center in Harvard, Illinois. 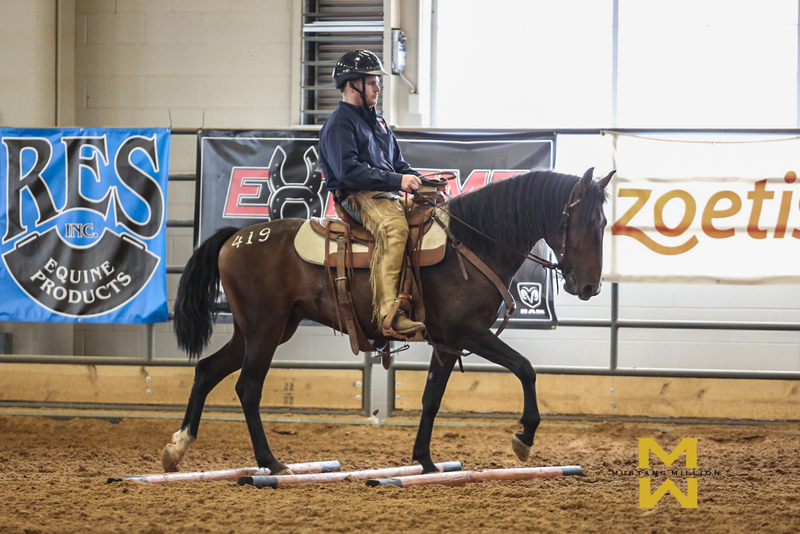 ​One of the younger horses at BraveHearts, Montijo said it was Bravo’s precocious personality that gets him noticed, but it is his work ethic that earns him accolades. “Bravo is very responsive,” he said. He explained that Bravo’s disposition makes him an excellent model for foundation horsemanship, which familiarizes participants with horses while on the ground and utilizing the round pen. Six-year-old Bravo responds quickly and thus can teach veterans at BraveHearts a lot about feel. “If you pick up on the reins, he knows it; he is sensitive. He is great for our more advanced veterans,” Montijo said. BraveHearts adopted the bay mustang that stands at 14.2 hands with a white stripe on his nose in 2013 through the Bureau of Land Management in order to participate in the Mustang Million competition – where he competed with a veteran showing him both in trail and in freestyle competitions – and they never have looked back. “His soft eye shows us daily that he has settled with us at BraveHearts and found his forever home; he likes his work and his new purpose. We could not do what we do if it were not for Bravo,” BraveHearts Chief Operating Officer and PATH Master Level Instructor Meggan Hill-McQueeney said. 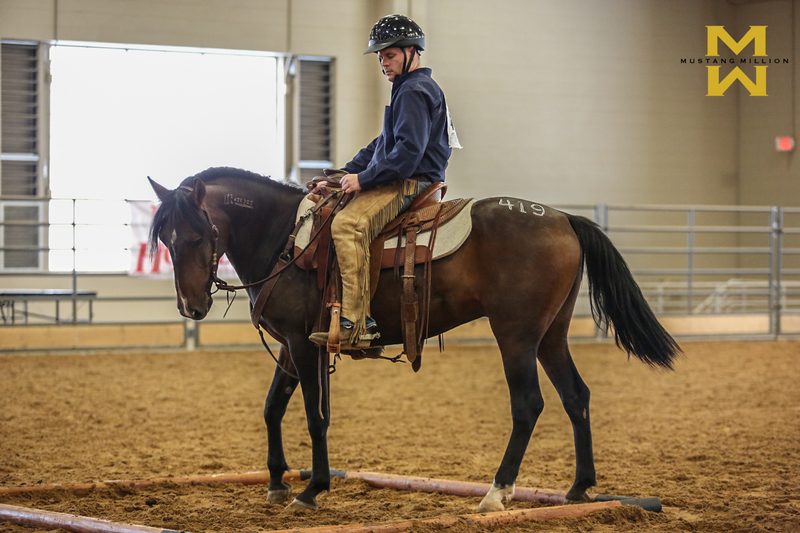 He most often is used in the veteran program for therapeutic riding, foundation horsemanship and drill team. This year Bravo competed in Special Olympics and was clipped and braided – a new experience for him! Another first was performing in Cheyenne Frontier Days this summer. For two weeks, Bravo participated in parades and grand entries. “[He showed] the public an awesome finished product,” Hill-McQueeney said. As a young mustang, Bravo knew only a life in the wild – one not of security, but of survival. This makes him an excellent candidate for working with veterans. Bravo was a quick student and was haltered, saddled and gentled in record time, proving that he was born to work with veterans. Indeed, with his responsive and willing nature, Bravo also always is ready for the challenge. “He can be walked, trotted and cantered throughout a lesson and never break a sweat,” Montijo said. This work ethic allows staff to know that veterans always are in good hands when they work with Bravo. He knows his job at the farm and follows through with consistent dedication. There is an innate knowledge that allows Bravo to mirror the soul of a veteran. The wild mustang from Nevada intuitively knows when a veteran is in pain, is working through the effects of post-traumatic stress disorder or needs to be challenged. Bravo has found his home and his calling at BraveHearts: leading veterans to a place of peace. BraveHearts Therapeutic Riding and Educational Center is a Professional Association of Therapeutic Horsemanship International Premier Accredited Center that serves veterans and their families free of charge. 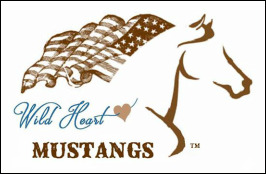 To learn more about BraveHearts or to support the nonprofit organization, visit www.braveheartsriding.org. Finally Home Farm is a non-profit IRS 501(c)(3) public charity dedicated to healing our mentally wounded warriors through Equine Assisted Psychotherapy (EAP). FHF is certified by the Equine Assisted Growth and Learning Association (EAGALA) as a military services provider. Our staff is trained and certified as EAGALA Equine Specialist. FHF works in cooperation with The Dayton Veterans Affairs Medical Center for the intake and referral of military veteran clients into the equine psycho-therapy treatment program. We are supported by the Greene County Career Center, using their Agricultural Research Center equine facility for private therapy sessions, year round, indoors or outdoors. We also serve police, fire and paramedic personnel who have suffered mental trauma on the streets. Our mission bring our heroes HOME in mind, spirit and body. Equine Assisted Psychotherapy is a growing modality of treatment which specifically benefits Post Traumatic Stress issues surrounding pre and post deployment, family therapy, and addictions. As a prey animal, horses are very sensitive, highly alert, and exceptional at reading non-verbal communication. This high alert state is something military members relate to. Because horses read non-verbals so well, they respond in ways which begin to feel very familiar, i.e. just like their wives, husbands, kids, unit, coworkers, elusive dreams, fears, etc. The horses become very real symbols of relationships and allow veterans the opportunity to identify stress, anxiety and to work through how to change aspects of their lives in an experiential, metaphoric in-the-moment and emotionally safe method. There is no riding or horsemanship in an EAP program; the horses are free and able to be themselves with the humans. All therapy activity is on the ground, in a pasture or indoor arena, interacting with the horses, where the horses can react naturally, creating a learning experience for the client. SMSgt / 1stSgt (Retired) Tim Spradlin is the director and EAGALA Certified Equine Specialist for FHF. A combat veteran of two deployments to OEF / OIF, Tim is retired from the US Air Force Reserve where he was a Security Forces first sergeant, Civil Engineer first sergeant and crash-fire-rescue. Tim is also retired from a 32 year civilian career in fire, EMS. rescue and law enforcement and is a certified Community Service Chaplain. Susan Spradlin RN is Tim’s wife, program partner and financial manager for FHF. She is a registered nurse with 30 years experience including emergency, trauma, drug and alcohol addiction and surgery. Susan is a veteran’s wife, supporting Tim’s service and keeping the home front together during two war deployments. Tim and Susan live on a small farm with four horses in Greene County. They are also members of the Ohio Patriot Guard Riders . Finally Home Farm LLC - Wilberforce, OH A non-profit IRS 501(c)(3) public charity dedicated to healing our mentally wounded warriors through Equine Assisted Psychotherapy (EAP). FHF is certified by the Equine Assisted Growth and Learning Association (EAGALA) as a military services provider. Our staff is trained and certified as EAGALA Equine Specialist. FHF works in cooperation with The Dayton Veterans Affairs Medical Center for the intake and referral of military veteran clients into the equine psycho-therapy treatment program. We are supported by the Greene County Career Center, using their Agricultural Research Center equine facility for private therapy sessions, year round, indoors or outdoors. We also serve police, fire and paramedic personnel who have suffered mental trauma on the streets. Our mission bring our heroes HOME in mind, spirit and body.